Taking the well known story of the Abdication Crisis, Wallis and Edward – an ITV TV movie from 2005 – professes to be the first to tell it from the point of view of Mrs Simpson. It’s potentially an interesting approach but one which emerges to be riddled with difficulties in the telling here. Picking up the story from the point at which the affair started with Edward as the Prince of Wales and Wallis still married to her second husband, it progresses through the 1930s as their affair became more involved and problematic as he acceded to the throne in the knowledge that royal protocol would never allow the relationship to continue. The problem is that it never really becomes an involving love story. Not all relationships that start from adulterous beginnings are doomed, but they do need to work rather harder to convince of their legitimacy (for want of a better term) and that doesn’t really happen here. 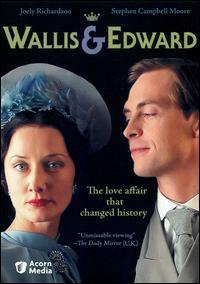 Joely Richardson’s Wallis is extremely brittle and Stephen Campbell Moore’s Edward the epitome of clipped English royalty but in Sarah Williams’ writing, there never really emerged a love story that I could get behind and so it became a rather dull watch. There’s an array of good talent in the supporting roles: Monica Dolan as Elizabeth (Queen Mother-to-be), the late lamented Margaret Tyzack as Queen Mary, David Calder as Churchill and Miriam Margoyles as Wallis’ aunt, but the constituent parts never really combine into something greater and so I can’t say I’d recommend this to watch, you’re better off with the other side of the coin and The King’s Speech.